SEREMBAN (Feb 26): A total of 139 illegal plastic waste recycling factories, which violated the Environmental Quality Act 1974, have been closed from January to-date. 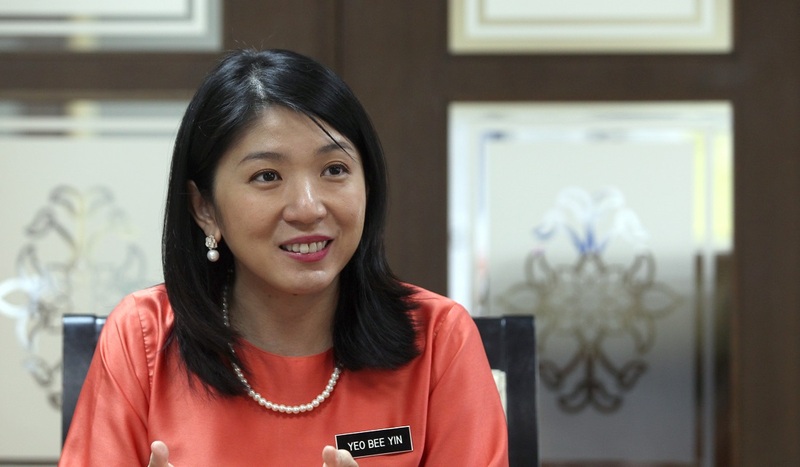 Energy, Science, Technology, Environment and Climate Change Minister Yeo Bee Yin (pictured) said from the total, 48 investigation papers have been opened with four factories punished while 44 more were charged with summonses exceeding RM3 million. “The total number of factories had surpassed the Key Performance Indicator targeted by the ministry for the first quarter of this year in which is to close 100 errant factories,” she said. She was speaking to reporters after participating in a special integrated operation on three plastic waste recycling factories around Senawang here yesterday. Yeo said the operation would continue to be stepped up to ensure those found guilty would not only be punished according to the law but also bear the cost of disposing of the plastic waste seized. She added that when the freeze on plastic waste import licences was imposed in July last year, the country was having 750,000 tonnes of plastic waste and the ministry was expecting the waste to be fully disposed of by the middle of this year. “We have 400 legal plastic waste recycling factories in the country but it does not mean they are adhering to the law so monitoring has to be conducted at least twice a year to ensure their continuous compliance,” she said.